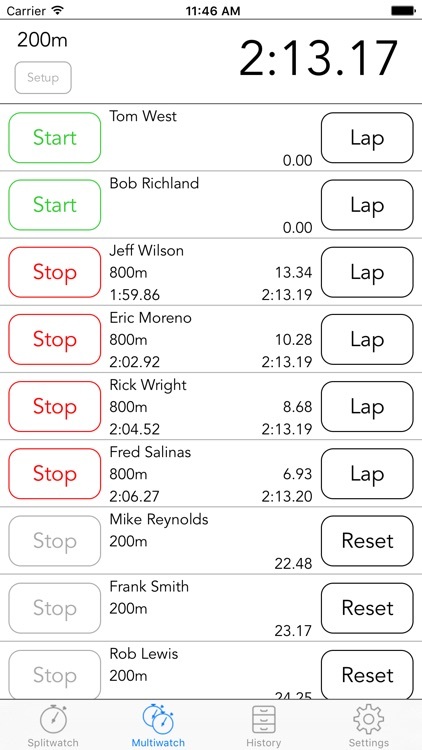 Splitwatch is a specialized timing application that gives the serious track/swimming coach or fan a powerful interval stopwatch on their iPhone, iPod touch, or iPad. - Designed especially for track and swimming training and competition but is also effective for any event where interval recording is needed. 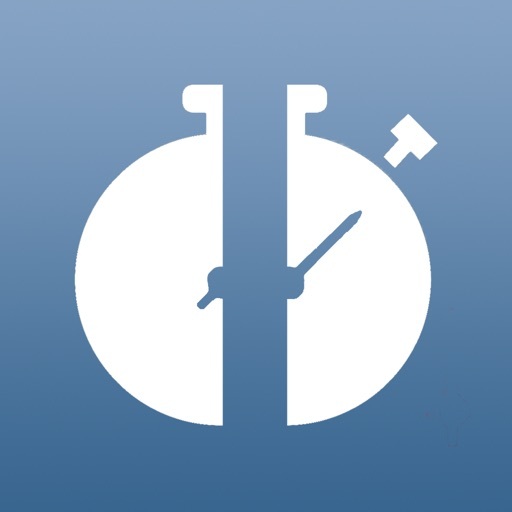 - Automatically calculates the split breakdown as you are timing. For example, if set for 200m intervals would yield each 200m, 400m, 800m, and 1600m (or 1000m if in Kilo split mode) throughout the race. 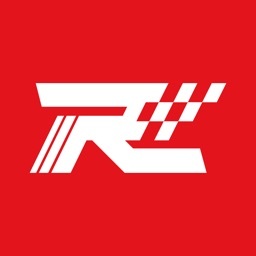 - Provides closing splits (for example, last 200, 400, 600, 800, 1000) and split summary info with Min, Max, and Avg lap times. 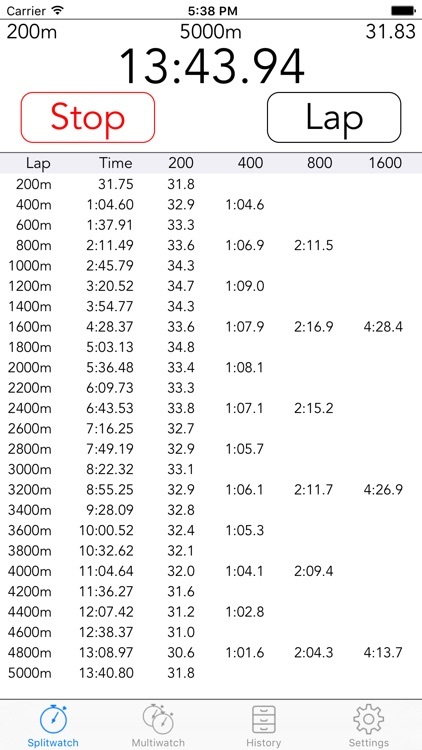 - Quickly identify which parts of a race were the fastest or slowest with Split Detail Summary Min/Max Highlighting (New!). 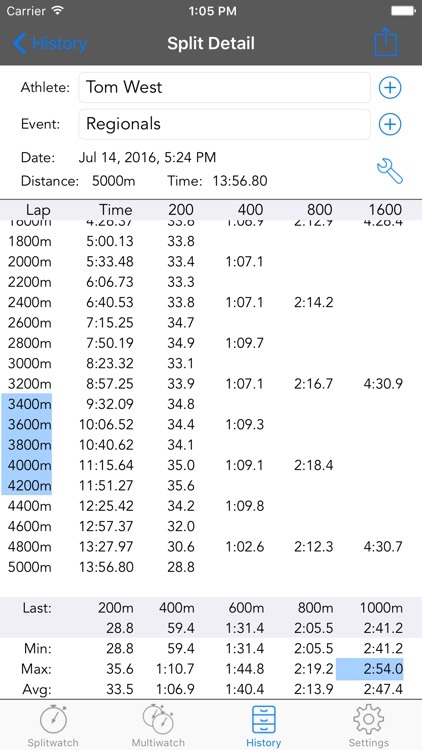 - Record either Metric or English interval distances: 25, 50, 100, 200, or 400 meters or 25, 50, 110, 220, or 440 yards, or Lap mode for distance independent timing. 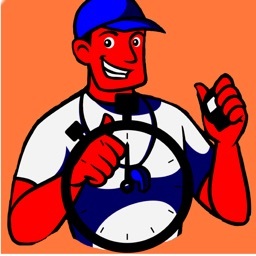 - Time any number of competitors simultaneously with the Multiwatch mode, starting the watches at the same time or independently. 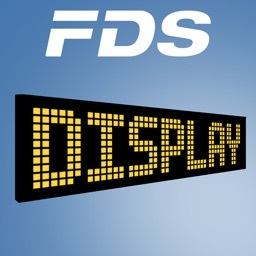 - Quickly recall any recorded timing event in the History view, including athlete name, event name, race start date and time, final time, lap times, split breakdown, closing splits, and split summary info (Min, Max, and Avg lap). 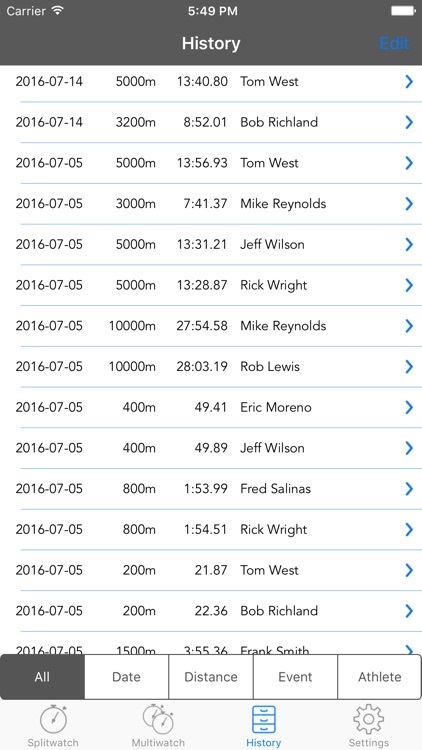 - Sort timing events by date, event distance, event name, or athlete name. - Individual splits are fully editable, including add, change and delete. Also, you can change the base units and split modes for any event in your database. This makes it easy to fix timing glitches. - Email or AirPrint (New!) a Split Report with all the event info and split breakdown right from Splitwatch. Generate reports for a single race or combine multiple races in one report and then email or print to any AirPrint compatible printer. - Tap the Splitwatch main time display to swap the running time with the lap time. - Flashes each time the start/lap/stop buttons are hit for positive click feedback. 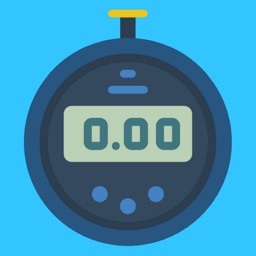 - Optionally produces a click sound for each start/lap/stop tap. 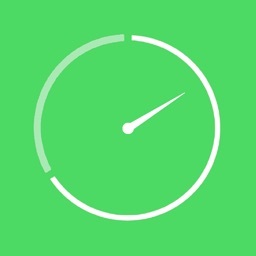 - Optionally disables the lap button for 2 seconds to prevent unintentional double-clicks. 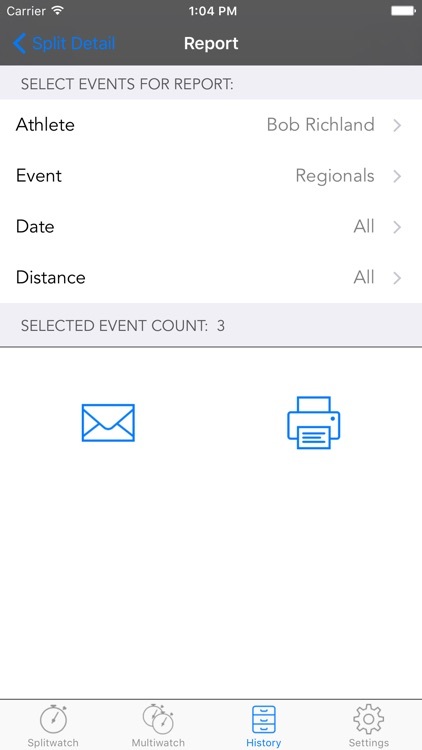 - Lap mode allows you to record events where the intervals are not tied to a specific distance. - Furlong mode is for horse racing. Distances are displayed in fractions of a mile instead of yards. - Onboard manual and email support for your questions.